Picture Framing Blog - A Good Frame of Mind: Come Celebrate with Us! Thank you for helping American Frame celebrate 40 fantastic years in DIY framing! Our gift to you is 25% off your next order of $100 or more, any time in the next thirty days. “Operation 25” can be used on any combination of products and services. Use your discount to purchase a $100 gift certificate for $75* and you can use it to make a purchase any time in the next year! To claim this offer, please call us 1-888-628-3840 (M-F, 8:30am - 5:30pm EST)and mention Operation 25. Our offer is good through April 15. Our smiling staff is eager to help you. Wow! All the pictures are very amazing and credit goes to the frame designing. I searched the link that you paste in this article and this https://www.nsw-writers.com/ site provide good info and it is love to interact with audiences. I will definitely join your community. Thank you for it! As you look for a design to make your own or get ideas to help yourself understand the range of options, it should be helpful to think about whether or not you would like a single panel or double panels for your gate. A single panel is versatile in that it can be configured to open swinging outward or inward, quite common for a walkway or entrance. It can grademiners also be configured to slide sideways on wheels when built as an opening to a driveway. 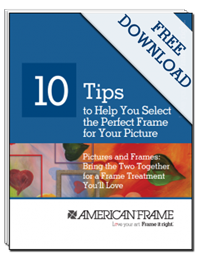 It is interesting to note that American Frame celebrated 40 fantastic years in DIY framing. This is simply amazing. You may want to click on: Nursing Writing Services for reliable help with writing a nursing papers.